I stood there in the kitchen wondering what to make for lunch when the doorbell rang. Glad to get away from the fridge and stove, I answered the door to find a courier. It was a set of Knorr sauce mixes. Nice. Just the inspiration I needed to make something new. It was going to be a one pot dish. What did I make? 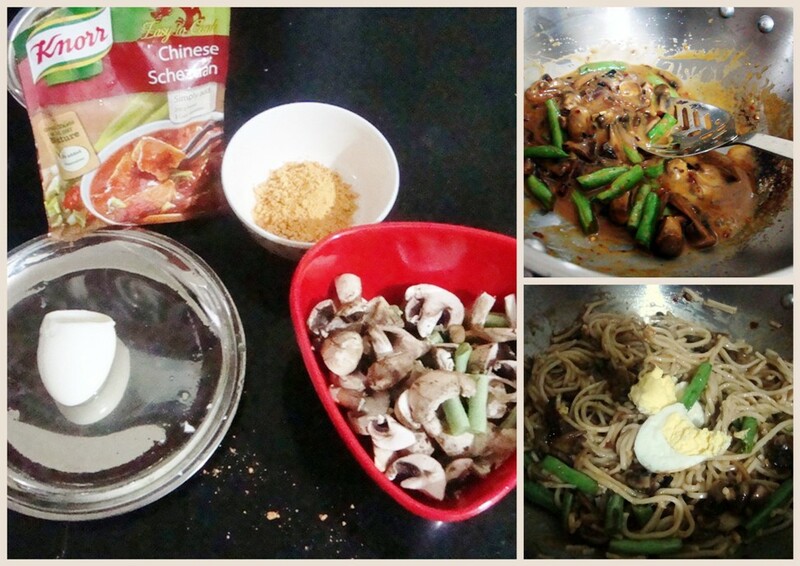 1) In a pot, add 1 to 1.1/2 cups of water and cook the noodles. I added the egg to the same water and let it cook for about 10mins and removed the same. 2) In another pan- add the oil, saute the garlic and onions, before adding the remaining vegetables [you can add any vegetables to this dish], add some salt and pepper. 3) Remove the veggies once cooked and in that same pan-- mix about 2 tsp of Knorr-Chinese-Schezuan mix to 1/2 cup of water and allow it to come to a simmer. Add the cooked vegetables to the sauce and check for seasoning. I also added the noodles and finally the egg to complete my lunch. How easy is that? 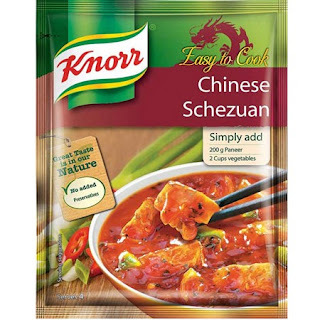 I am now itching to try the others from Knorr range! !